We recognize that the thousands of women and men who were educated at schools founded and run by the Adrian Dominican Sisters are also heirs to the Dominican charism and spirit. Links to schools currently open and sponsored by the Adrian Dominican Sisters can be found on our Sponsored Institutions webpage. 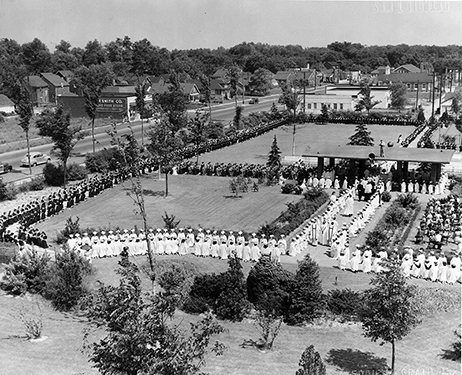 We regret that we cannot list the hundreds of schools in which Adrian Dominican Sisters served throughout the years — our records show that in 1968, for example, our 2,400 members were serving in 208 elementary schools, 56 high schools, three Congregation-owned colleges, and one Latin American University. Are you planning a reunion for one of the following schools? Please contact Laura Brosamer for more information at 517-266-3484 or . Photos below: Architect's rendering of Aquinas High School (Chicago); first-year faculty of Rosary High School in 1957 (Detroit); Hoban Dominican High School in 1964 (Cleveland). 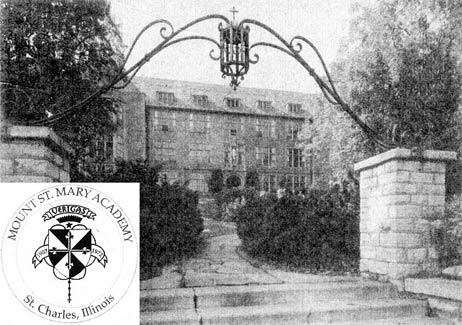 Mount St. Mary Academy marked the Congregation’s first educational foray into the Chicago area. Several other Congregation-operated high schools opened in the years to come: Aquinas (Chicago, 1915), Bishop Quarter Military Academy (Chicago, 1917) Bishop Muldoon (Rockford, Illinois, 1933), Dominican (Detroit, 1940), Hoban Dominican (Cleveland, 1951), Rosary (Detroit, 1956). All these schools except Regina Dominican, which opened in 1958, were closed by 2005. St. Joseph Academy, Adrian, Michigan - In the fall of 1896, Mother Camilla was at last able to open the doors of St. Joseph Academy to 15 girls. 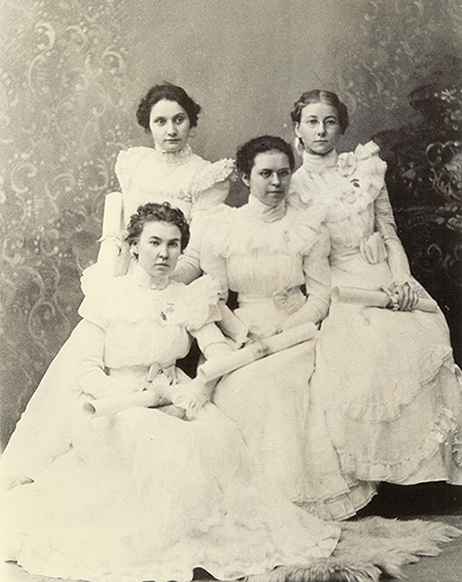 Three years later, these four young women became the first graduates of St. Joseph Academy; two of them entered the Congregation, as would many others in the years to come.